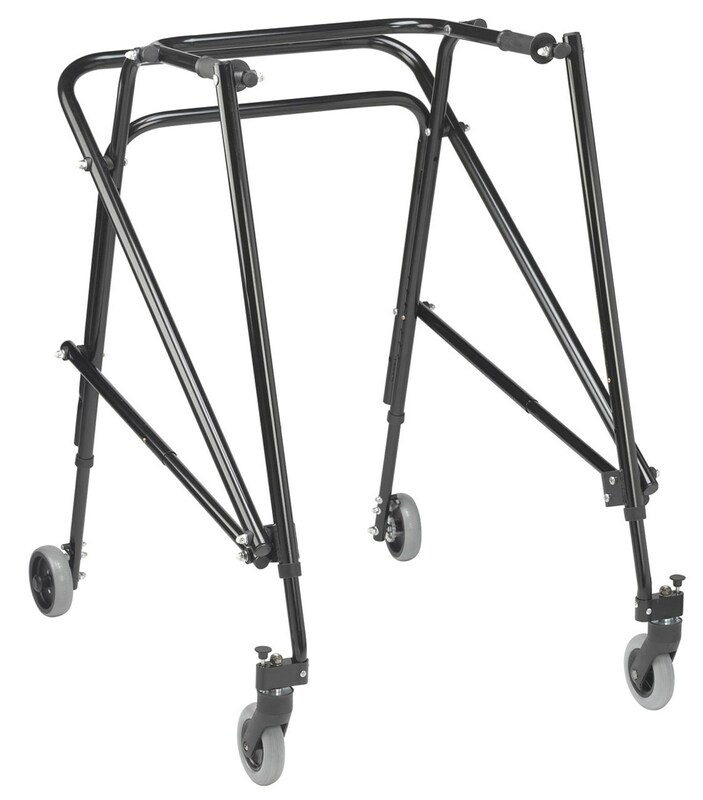 Drive Nimbo Posterior Walker - Extra Large - Black - is a foldable walking device one pulls from behind with an adjustable handle height from 36 in. to 41 in. Research shows that some people who walk with a reverse device (posterior walker) have improved posture, hip extension, and balance. - Latex-free, smooth-texture handgrips with flanged ends provide a sure and comfortable grip. - Sturdy but lightweight, aluminum frame folds for easy transportation. - Non-slip, soft, rubber wheels adhere to any surface. - Rear wheels are unidirectional but have an easy-to-use override bracket to allow both forward and reverse mobility. - Front wheels swivel for easy maneuverability but have a swivel lock mechanism to switch from swivel to non-swivel.